It is a bad habit to try to teach without personal knowledge. We can preach, but we do not possess. This is one of the occupational hazards of those of us in our profession. It seems to carry a horrible curse of spiritual sterility, that the wise believer ultimately sees. It’s been 13 years since a diagnosis of Bipolar 1 was made. I believe I was BP in my teens. Life is a roller-coaster for me, up and down, with a twist or two along the way. I am now fairly aware at 56 that much of my earthly existence has already been lived. Life can become such a grind. I’m tired and broken, and ready for eternity. Billy Bray (a bearer of an unfortunate name) was an illiterate Cornish evangelist in the 1850s. He was heard to pray this: “Lord, if any have to die this day, let it be me, for I am ready.” By faith, I do understand these sentiments. I am ready to go as well. “Tribulations” are common, and each must battle through them. And without being melodramatic, we each must walk through the blazing furnace. But I can also boldly attest that there is more than enough grace for each of us. We just need to become desperate enough. (Which shouldn’t be too hard). 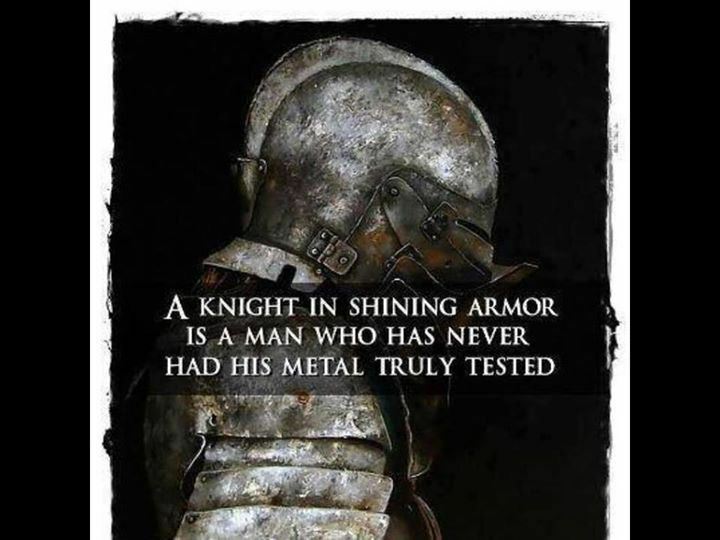 Armor is given. Wearing it means you’ll survive (and thrive) to see another day. Those who may suggest that the Christian life is a “bed of roses,” I would say that they haven’t read Ephesians 6. If there is no war, why would the Holy Spirit tell us to put it on? We are starting to finally learn we must fall in love with Jesus. He receives us with a massive kind of love. And His mercy meets us at every doubtful corner. You have His Word on it. Simply ask Him to come to you.